Beautiful capture! 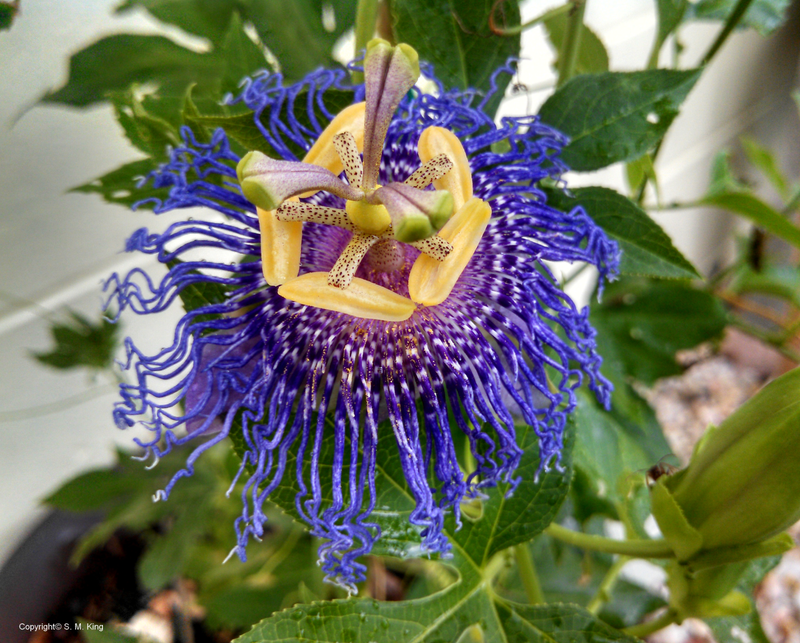 I go through ‘love affairs’ with types of plants, and went through a major passiflora phase a few years ago, purchasing all sorts of unusual species and cultivars. While I did end up with some crazy vines that I had to remove (one kept trying to sneak into the house via the window, I swear), I still have a few plants scrambling up the fence, trees, etc. I too, love passiflora of all types, plus the Mayapples I found wild in TN. A week after this photo, the caterpillars had loved it naked, with only a few leaves left. Hope it lives! How neat to see the native passifloras in their natural environment! I love those spiked gulf frittilary butterfly caterpillars as well (my gravatar photo is a gulf frit butterfly sitting on my finger)…the vines around here usually recover with little trouble, and hopefully that will be the case for yours as well! Ha! My post was similar to yours! Too similar! hehehe! Great photo! Great minds think alike 🙂 Yours is lovely as well, love the colors! Thank you! It is an amazing blue, isn’t it? And I love the frilly look as well.